We take pride in our work, carrying it out to the best of our ability comes as standard with Monstermove Removals! We use specialist equipment to keep your worldly possessions safe whilst in our care which include sofa protection, mattress bags and our trusty woolly blankets which we use to wrap your cabinets and such to prevent knocks, wear and damage whilst in transport. 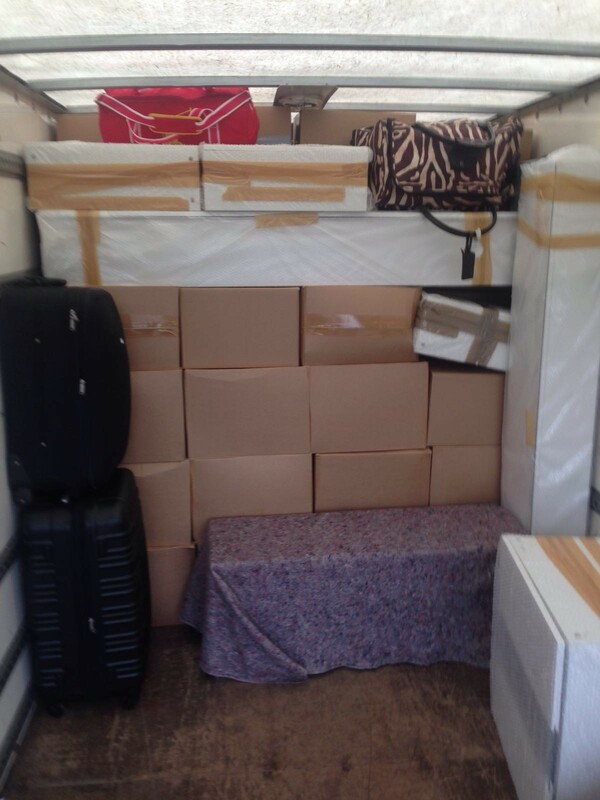 Our team of expert packers will ensure that your home contents are carefully wrapped and secured, piece by piece as they are loaded onto our vehicle; with time taken to ensure that every measure has been taken to prevent damage. As we have learned in our time in the industry, there will always be companies that will offer to beat our rates, offering a cheaper service. Some people will opt for a cheaper company and save themselves £10, or £20, but what do you actually save? And at what price that you pay? We saw another local company on our travels this week, we have covered their registration mark so as to not cause any upset but you can see that the setting is on Sutton Road, in Hull. The things that we find troubling about the image below is that firstly, the tail-lift is in the lowered position, which is just dangerous! But also that the shutter is open which wouldn’t be half as bad if the van’s contents were secured! Anything can fall out of this van onto the road whilst the vehicle is on it’s journey and I dare-say that the driver wouldn’t even know. Further to that, you can see the drawer at the bottom of the picture which has opened would have left the cabinet altogether, had it no been leaning on an appliance! 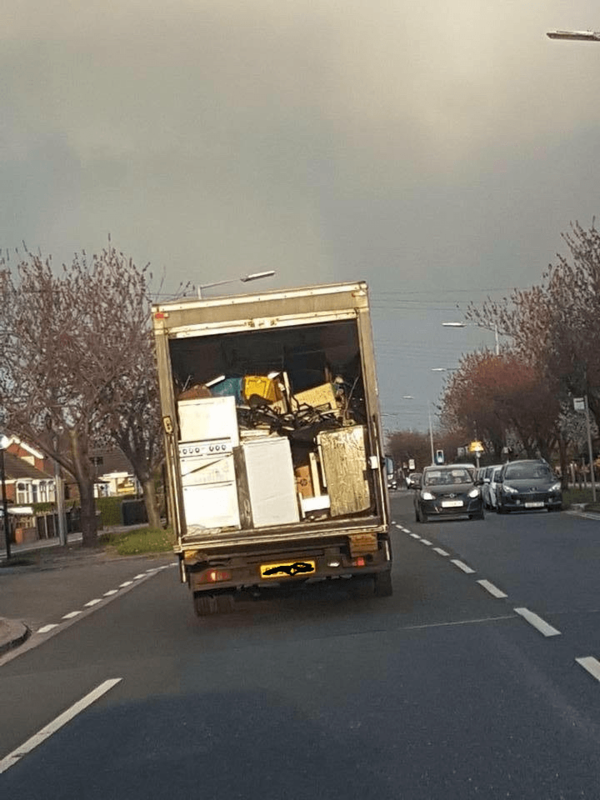 A badly packed removal van. Could this be your removal company? This kind of pack is too easy, and all to common. We have seen examples of this many times over the years, people just throwing items in a van, without a care. You will find it is mostly the cheaper companies due to them not having time to do the job properly because the job isn’t worth the time it needs. The idea is to get the job on and off quickly and move onto the next job in a hope to make a decent living! These are the things that the customer can only assume and doesn’t really see and we hope that this blog post highlights the difference between Monstermove Removals Hull and some of the other companies. When a company asks you what you have been quoted, or states that they will beat any quote; you should ask yourself, why? How can you beat any quote, what are you leaving out that can help you offer a cheaper removal service. Further to that, why are you doing it cheap. We don’t use our pricing as a selling point to get work in, we charge what we charge and our selling point is what you get for your money. I mean we could ditch our decent staff and hire monkeys, we could cut back on our insurance, or even cut it out altogether and compete with these companies but in our business model, we target the people who want the job done properly, and aren’t looking for the cheapest option. We have literally hundreds of pictures that our teams send each other and post onto our forum, showing the quality of their work. Here is one below, spot the difference!